Since our formation in 1999, we have supplied blast rooms and the ancillary equipment required to service a blast room to clients throughout the UK and abroad. The size of the room will vary depending on the component shape and size. The most popular size is a blast room made from an ISO 6 metre shipping container. For flexibility panelled booths are designed to be modular and offer the flexibility of being available in a range of sizes. The booths are designed for internal location and are manufactured from heavy gauge steel plates with an external structural frame. The internal faces of the booth are lined with hard wearing shot blast quality rubber and the blast room doors are of double skin construction mounted on to robust container hinges which ensure the doors operate smoothly and effectively. Designed for both small and large volume production, our Spray Booths are built to the highest standards from the highest grade materials, ensuring a long working life. We offer a standard range and a bespoke range of Spray Booths which are designed to meet individual customer requirements. 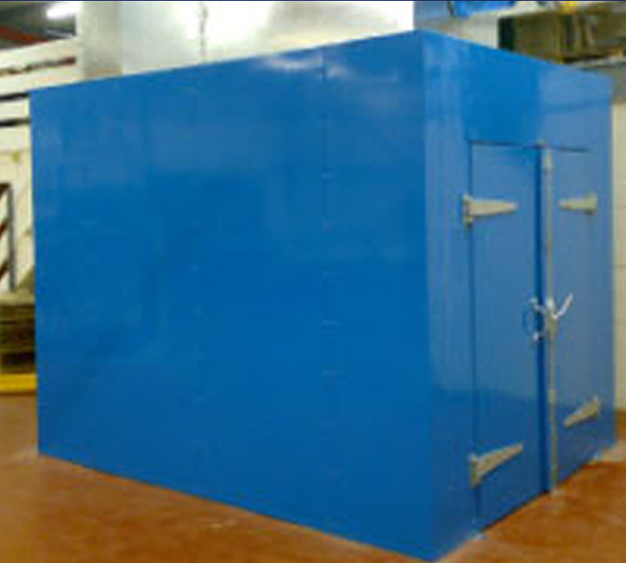 Our Spray Booths are fitted with belt driven fans as standard and are built to our exacting quality standards. We offer a range of standard belt driven axial fans, plus a range of belt driven centrifugal fans for reduced operator noise levels. Extra height booths also available, plus low level exhaust chambers, exhaust chambers only, bench type booths, plus specialist bespoke booth design. 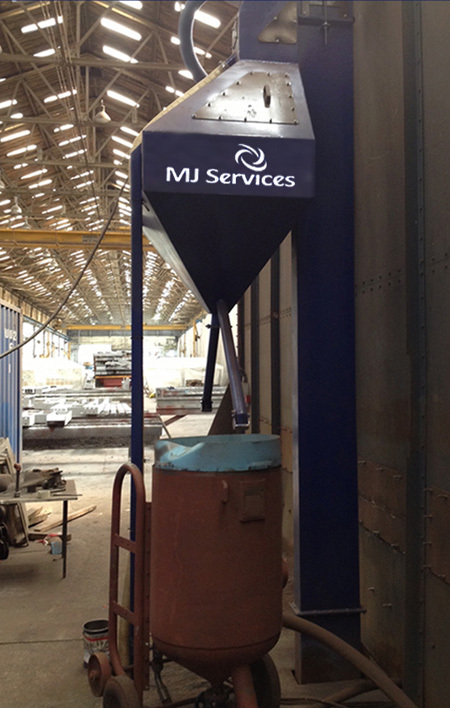 “Tees Valley Coatings have relied upon the services of MJ Services for many years. Their knowledge and experience within the blasting and painting is second to none. They offer a professional and invaluable service to our company and their in house design of equipment is exceptional. I would highly recommend them to any company”. Our Box Ovens are available as Standard or Bespoke models to meet individual customer specifications and are fitted with a comprehensive control panel with digital PID temperature control. All box ovens have a forced bleed off air system and air circulation via a high temperature centrifugal fan. Our experience has shown the mechanical belt and bucket elevator recovery system to be the most reliable and economical way to return spent abrasive. Our range caters for any requirements from 3 tonne per hour up to 30 tonne per hour and all units are available with an airwash cleaning unit. We also offer partial or full under floor screw conveyor recovery systems to feed the recyclable abrasive to the belt and bucket elevator. As a less expensive alternative we offer a vacuum recovery unit with a capacity of 2 tonnes per hour. This is an excellent budget entry level recovery system.